Life itself is BIG STUFF! 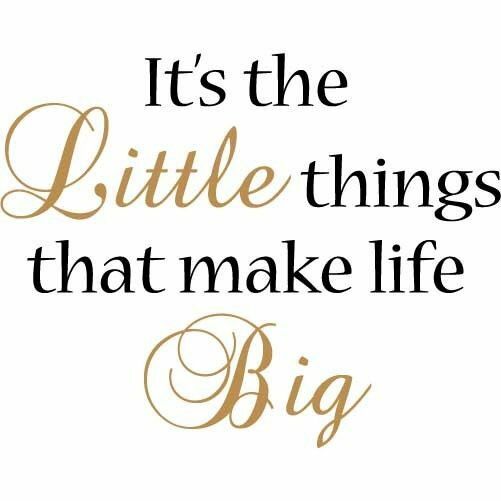 And everything we do from the smallest things to the largest things are a part of our everyday life. Small things, like brushing your teeth on a daily basis can add up to big stuff later in life, like gum disease and periodontal disease, if you fail to pay attention to the life long habit of brushing your teeth. Sub sequentially, a small thing like brushing your teeth daily is a BIG thing! And big things, like graduating High School or College is small stuff when it’s your first day in kindergarten, first day in elementary school, middle school, high school and when you become a freshman in college. Getting to the Big things in life matter if you fail to focus on the small stuff as well. Every aspect of your life, from the small stuff to the big stuff is all really BIG stuff! Each and every moment of your life is encountered with all kinks of stuff… the stuff clutter is made of, and each and every thing needs your utmost attention every second of your time to avoid it becoming small stuff that’s turns into big stuff. In essence, everything you do in life is BIG stuff. Focus on your stuff every moment of your life and you’ll have no sweat creating a lifestyle with less stress and more success!